Trained as a physicist, Jack Nilles entered the US Air Force as a lieutenant, serving at Wright Air Development Center as a manager of several electronic reconnaissance development projects. After leaving active duty in the Air Force Nilles headed the preliminary design of several space vehicles and communications systems for the Air Force and NASA. He was a consultant to President Kennedy’s and Johnson’s Science Advisory Council, the National Science Foundation and other federal departments. In 1972, he became Director of Interdisciplinary Program Development at the University of Southern California, where he began his formal research on telecommuting and teleworking, terms he coined in 1973. 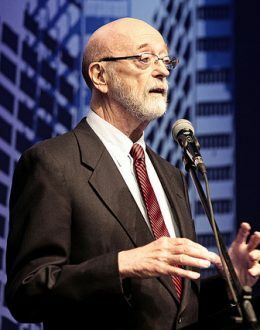 Later, at USC’s Center for Futures Research, he led a number of studies of the present and future impacts of information technology and created the standards by which major telecommuting projects are judged. Now known internationally as “the father of telecommuting/teleworking”, he founded the management-consulting firm, JALA International, in 1980. He retired from USC in 1989 to devote full time to JALA. He has developed and/or evaluated telecommuting projects for a variety of Fortune 100 companies and large government agencies in the US, Europe and South America. He is the author of five books (published in several languages), including Managing Telework, generally known as ”the bible of telework”. He has appeared often on TV and been a keynote speaker at major conferences on telework and/or future impacts of technology around the world.